… and cats who think they’re people, ahem. This is us on a quiet Saturday afternoon. Oh, all right, it isn’t. Angharad has been knitting since she was four. 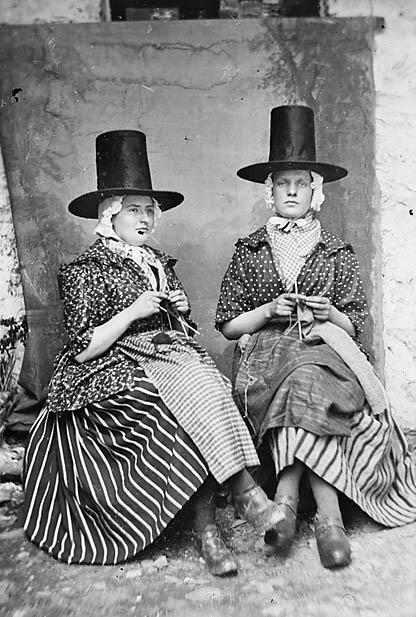 Turning her back on librarianship and a life lived abroad, she returned to her roots in Wales. Knit One… was opened in October 2010 – in premises previously devoted to her mother’s bookshop – and has been going strong ever since, marked out by the level of customer service offered and the support given to knitters. Kate came into the shop and encouraged Angharad to help set up a spinning group (now the Dolgellau Sunday Market Spinners, meeting on the third Sunday of the month, March – December, in TH Cafe). She was immediately nailed to the floor and made to spend huge amounts of money on yarn. Seriously. 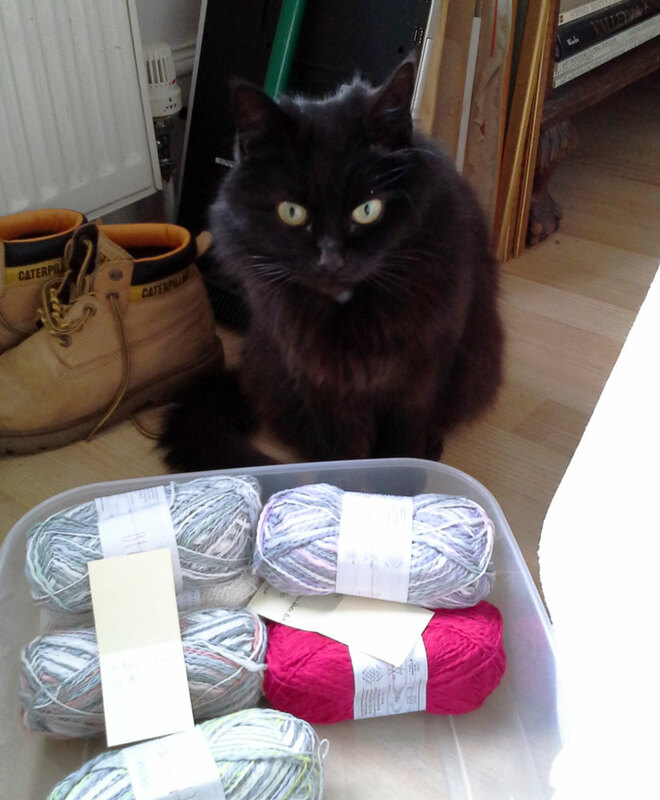 The shop is overseen by Madam, aka Bramble. Bramble doesn’t always appear in the shop – and don’t worry, the stock is always protected from feline interference – but when she does, she is the centre of attention. She even has people who come to worship visit her specifically, from as far as the other end of the country. Hm. Oh, and she has a twitter feed. Of course she does. 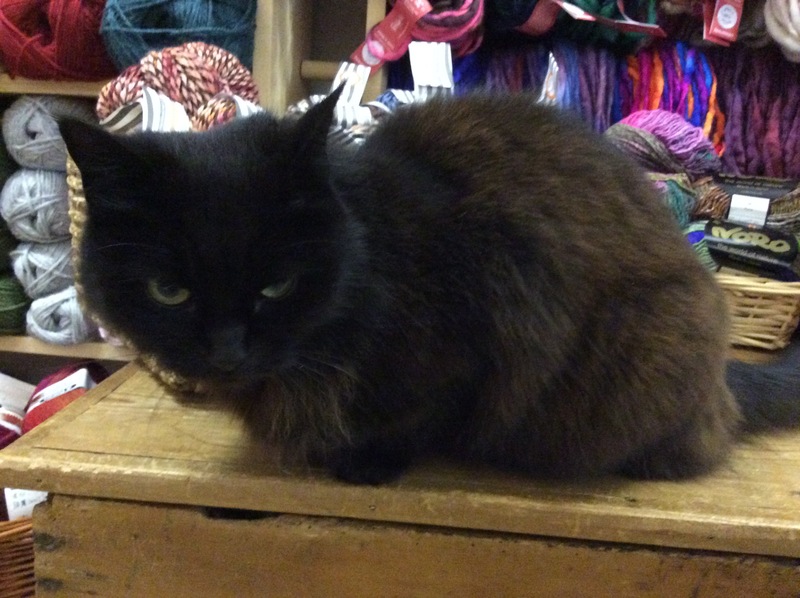 She can be found on twitter as @WoolShopCat (follow her by clicking the button in the sidebar), where she occasionally mentions wool. She more frequently mentions the need to exchange her humans for ones who provide better cat treats. This is a HINT. Thank you Diane for your kind comments. Do you sell patterns too? After a good one to make a decent jacket/cardigan in cotton for summer and wool for winter. Sure Bramble can advise??? Do you do mail order to Portugal – small packages Royal Mail. Do not use their dreadful signed for service as the lot they use here either lose it and send it back, or don’t bother to try! Prrup back Bramble from Princess Pansy Potter and Pompey Bum. I have just found my pattern but it is asking for Debbie Bliss Merino Aran. 17 balls of 50g. I have done this pattern in getting some nice wool from local wool shop but of course it turned out so big other half wears it! Hence I think I ought to stick to recommended product which I think is going to be a tad expensive. Is there a cheaper alternative to Debbie Bliss and would it work do you think? I can send a photo of pattern if that helps Bramble?